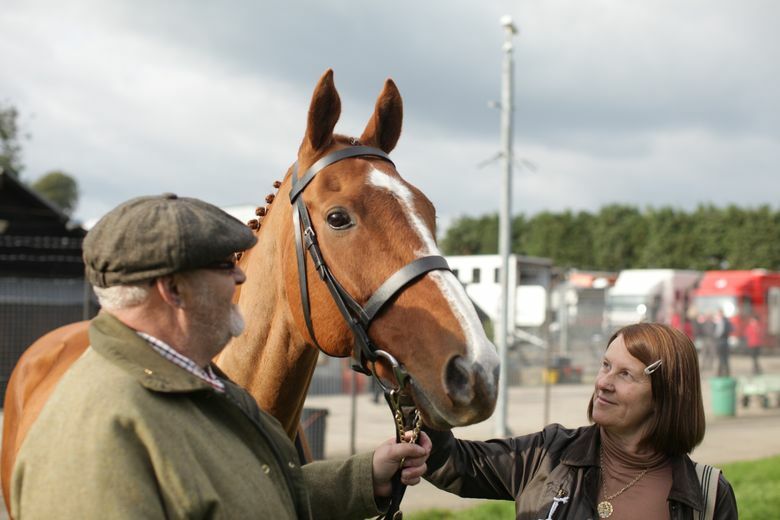 Movie review of ‘Dark Horse’: British documentary, about a cleaner who becomes a racehorse owner, could have been crafted by Hollywood. Rating: 3.5 stars out of 4. Oh, just try to resist this one. The British documentary “Dark Horse” is a delightful story well told — and, like so many good stories, it begins with a dream. ‘Dark Horse,’ a documentary directed by Louise Osmond. 85 minutes. Rated PG for some mild thematic elements and language. Seven Gables. Along the way, you’ll enjoy getting to know this friendly community and realizing how much this spindly legged horse meant to them. “When I went to the races, I wasn’t Janet the cleaner,” says Vokes, wonderingly. “I was Janet the racehorse owner.” Even the hired trainer, who seems a bit sneery early on about his charge’s working-class origins, gets emotional toward the end. Hollywood could have crafted this story but didn’t. For once, I can’t wait for a sequel.